In Shann Ray’s collection, Balefire, one senses always the poet’s tender regard for family as well as the forces of nature that flesh, flame, and fray each human relationship. From tenderness to violence, to something impossible to name, Shann Ray offers his readers a new kind of lyric. These poems stand as chiseled testaments to the heart’s survival; from a father’s fists like windmills to a wife’s surprising power. 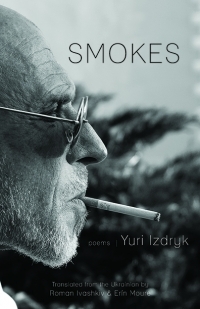 This marvelous collection is filled with spare poems that accrue and steadily grow into knowledge—the kind of knowledge that tastes of blue spruce and rough-hewed redemption. A riveting poetic debut. A celebration of the intricacies of love. 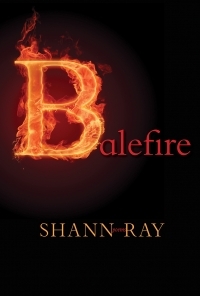 Shann Ray’s Balefire is visionary—a powerful and moving visit to the places that haunt us. 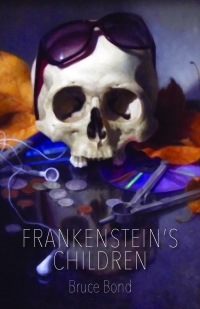 It is tempting to call Shann Ray his generation’s heir to the literary legacy of Richard Hugo and James Welch, except that he writes from a largeness of spirit all his own. The poems in his debut volume, Balefire, resonate with emotional and sensual precision. They compel us to inhabit lives—of the despondent, the brutal, the selfish and disloyal—from which we are too eager to turn, too ready to dismiss as incapable of humanity and unworthy of grace. Ray teaches us, or perhaps more hopefully reminds us, better. These wise, tender, sober, luminous poems range over landscapes at turns stark and vast, then lush and intimate to find the heart’s domesticity in wilderness, its wildness in home. 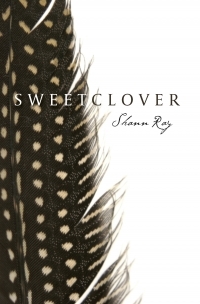 Shann Ray’s new collection of poems is an exhibit of portraits; surfaces of the paintings are at the same time tender, violent, intimate and mythic. Layered behind these figures is the vista of the monumental Montana sky. The landscape invades upon our deeper selves; and the portraits invite us into a familial conversation. Somehow, despite the pain and sorrow, we are allowed to bask in the expanse of the azurite sky. Shann Ray has served as a National Endowment for the Arts fellow, a research psychologist for the Centers for Disease Control, a panelist for the National Endowment for the Humanities, Research Division, and a visiting scholar in the Netherlands, the Philippines, Canada, South Africa, and Colombia. 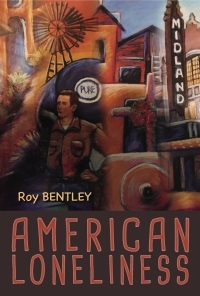 His collection of stories, American Masculine, named by Esquire for their Three Books Every Man Should Read series and selected by Kirkus Reviews as a Best Book, won the Bakeless Prize, the High Plains Book Award, and the American Book Award. Sherman Alexie said Ray’s work is “tough and beautiful” and Dave Eggers called it “lyrical, prophetic, and brutal, yet ultimately hopeful.” Shann’s creative nonfiction book of leadership and political theory, Forgiveness and Power in the Age of Atrocity, sheds light on the nature of categorical human transgressions and engages the question of ultimate forgiveness in the context of ultimate violence. 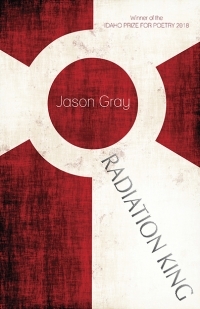 He is the winner of the Subterrain Poetry Prize, the Crab Creek Review Fiction Award, the Poetry Quarterly Poetry Prize, the Pacific Northwest Inlander Short Story Award and the Ruminate Short Story Prize. His work has appeared in some of the nation’s leading literary venues including Poetry, McSweeney‘s, Narrative, and Northwest Review. Shann grew up in Montana and spent part of his childhood on the Northern Cheyenne reservation. He lives with his wife and three daughters, in Spokane, Washington where he teaches leadership and forgiveness studies at Gonzaga University. Most people know Shann Ray as a writer of short stories. 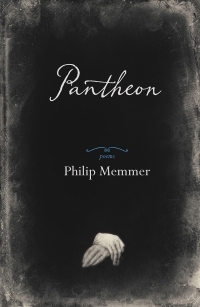 His 2011 collection American Masculine, won praise all over the place for its stories that are “less centered on landscapes and overarching narrative, and more closely focused on relatives drawing blood with words, fists, or mere looks,” as a review on the A.V. Club noted. 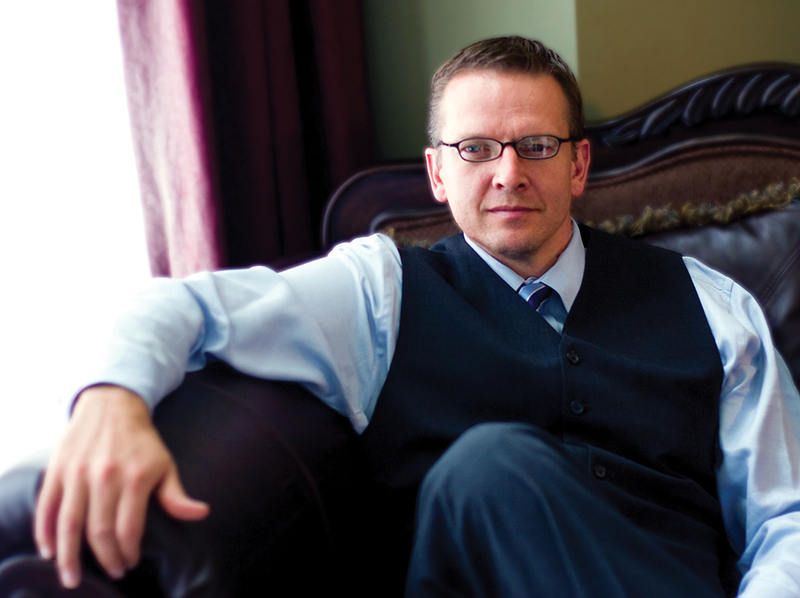 They also know him as a Gonzaga University professor who teaches leadership and forgiveness studies. He’s also, we’re told, the guy you probably don’t want to go up against in a pickup basketball game. He’s also a poet; he holds a dual MFA in poetry and literature from Eastern Washington University. So it’s no surprise, really, that earlier this year he released his first collection of poetry, Balefire (Lost Horse Press, 2014). In a “Five Questions” interview, we asked Ray about his poetry and his latest project. Q. How long have you written poetry? A. I dabbled in poetry in high school, lost touch with it then, and fell fully in love with it again when I fell in love with my wife, Jennifer. Later, I studied under Jonathan Johnson and Christopher Howell at EWU and the hope and vulnerability and strength of living a life devoted to poetry came more fully into reality for me. So thankful for the places where poetry started to influence me like the influence of a beloved other: in high school with my English teacher John Sullivan, in family through my wife Jennifer, and in the creative writing program with Jonathan and Chris. I consider each of these apprenticeships a necessary and good form of listening to and learning from the heart of life, the beloved other, and humanity as a whole. The apprenticeship continues now in the poems of so many I cherish, such as Hopkins, Oliver, Alexie, Transtromer, Dickinson, Whitman, Silko, Alcosser, and C.D. Wright. Q. When it comes to Balefire, did you set out to write a collection of poetry, or had you come to point where you had enough poems completed to make a collection worth it? A. I set out to try to look more closely at the fractures of relationship in the world, between people and cultures, between the feminine and the masculine, between parents and their children. I wanted to understand those fractures, care for them, and see what mending looks like, and how poetry helps create honesty around fracture, and courage around the hope for healing. In the end, in a chance meeting some years after I’d studied with Chris Howell, he asked me how my poems were coming along and said I should keep giving time to them. I also spoke with Jonathan Johnson again, and just being in the presence of him, his life devoted to love and wilderness and poetry, shook me and made me reconsider the approach I’d been taking to poems. This inspired me to try to put this collection together. I’m grateful. Q. Do you find your poetry informs your fiction, vice versa or a little of both? A. In Balefire, much of my fiction directly informed these poems. In fact, I’d heard Chris mention that whole chapters of Cormac McCarthy (Blood Meridian, The Road) or Marilynne Robinson (Housekeeping, Gilead) could stand alone as poems. In Balefire, I looked at some of the fiction of my story collection American Masculine and re-envisioned some passages, but in narrative poetic forms, and then tried to find structural, emotional, and spiritual avenues to let the poems open more fully to the reader. I also worked on lyric poems of love, reconciliation, and atonement, and tried to compose poems that might speak directly to love, forgiveness, and atonement. Q. What is it about poetry that appeals to you? A. For me, it is nearly impossible to encounter great poems without being broken by them and given the chance to bloom anew. There is such attention and generosity in the poetry of the world. Great poems compress life to an almost unbearable density and then succeed in lifting the heart, mind, and spirit to new vistas of understanding and compassion. Consider this, from one of the envelope fragments of Emily Dickinson: “I am afraid to own a body / I am afraid to own a soul.” My wife, Jennifer, and I memorized these lines from Emily some time ago. When I consider relationships, marriage, family, friendships, children, and the great paradox of love and violence that exists in the contemporary experience of humanity, Emily’s words keep descending in me and opening into greater and greater depths. In 1968 after the Prague Spring, Jan Palach gave his life to help the people of his country (then Czechoslovakia) rise from oppression to a more free, more wise, and more loving experience of one another. In a purposeful gesture, he lit himself on fire, burning himself to death. He chose self-immolation in order to awaken his country from slumber. The people didn’t respond, but years passed and some few people quietly celebrated him and his courage underground. Twenty years after his death, and in my opinion largely in response to the poem that was his life, the Velvet Revolution became one of the most important moments in human history. As a poet, I hope to speak to that type of revolution, in the intimacy we encounter with others and the hope for intimacy between cultures and nations. In Balefire, the poem “The Gesture” considers Jan’s life, and can be seen as a central pivot of the book. A. A book of poems called Ecstasy, about the marriage bed beyond irony, beyond nihilism. I’m trying to enter that landscape of marriage that has been tested by fire over the years, and emerges with more buoyancy, greater forgiveness, and more beauty. Not sure if it’s possible really, but I have a hunch a few people out there think it is and even report they experience it! Poetry books like C.D. Wright’s Deepstep Come Shining, Catherine Barnett’s Game of Boxes, and Mary Oliver’s Thirst are leading the way for me. I’m enjoying following where they lead, listening and learning. A couple of poems I’ve been working on from that project recently appeared in Narrative Magazine. Balefire is a finalist for the 2015 High Plains Book Awards for Poetry. Hordes of men struck down, destroyed, sunken form of skin and skeleton, bare cloth matted to torso, bodycage and hipbone, face and neck darkened, bloated to black, rain the endless dream stuck fast in the stone-dead skull and blood a fine sheen over all, arms and legs entwined, a severed hand, eyes dull white opals half-bled from orbital bones, grey earth below and stink in the air and the near cry of predator birds, birds of unbearable hunger, the sodden smell of open wounds, a flock of day raven far above, black, and in the blackness light, black sky with stars and moon like fires defined wholly apart from one another and only darkness in between, mute beacons, and cold. The sun has gone and there is near silence after seven days of fighting, and in the quiet only the caw of birds and the faint word, like a child’s, of those whose breath, impatient, labored, severed, stops and takes leave to await them in spirit or etherworld, blood echo on the air, agony awaiting peace on the other side.